... and Earn 50% Commissions! Signing up as an Affiliate is easy. It's completely free to join and registration takes only a few minutes. 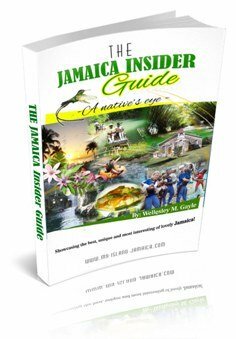 You register and receive a unique link to the Jamaica Insider Guide sales page on my website. You get credited automatically for the purchase - Yes, 50%!. At the end of the month, I'll deposit your commissions in your PayPal account electronically - within 2 weeks of the month following a completed sales month. For example, commission for sales made in May would be paid out by the first two weeks in June. To sign up to our affiliate program, you'll just need 1) An active Paypal account (to collect your payments) and then 2) Register on E-junkie.com (never mind the odd name). Select Jamaica Insider Guide from the drop down box and click Get Affiliate Code. Copy and paste the link code given into the HTML source of your own web page, blog or social media. Send it in an email to your friends, clients and subscribers, especially those who might have and interest in Jamaica. Post comments in related Blogs and Forums - include the link. Put the link in your email signature. Thanks for your interest in partnering. I wish you lots of sales and hefty commissions :-) !